Click here to Vote for Best of Springfield! Incredibly Delicious needs your help! Incredibly Delicious has been a Springfield tradition for 23 years! We are proud to serve our customers good food in a great atmosphere. ​We are proud to announce we are finalists in 5 awesome categories. Now is the time to VOTE for Incredibly Delicious! 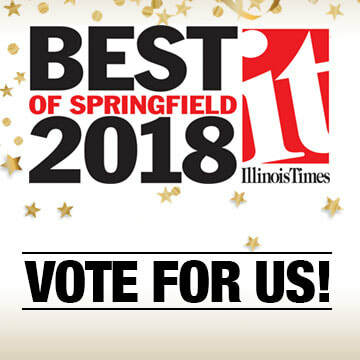 ​Please take a little time to help us win Best of Springfield 2018! ​​Voting is open September 13-24th!